With a stunning distressing, it doesn't take much to fall in love with this piece. 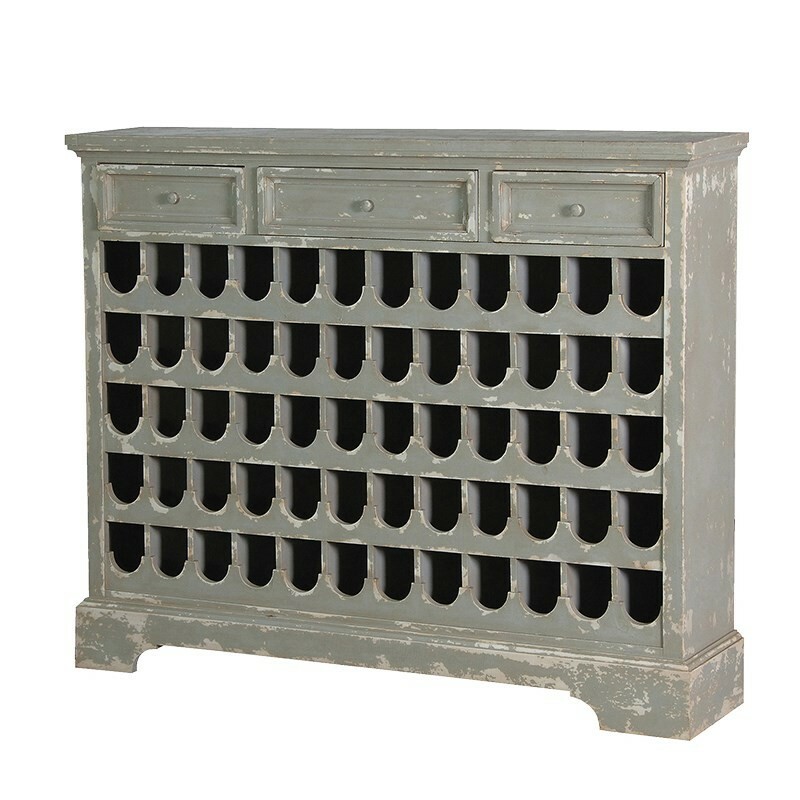 A neutral colour scheme gives this piece a tranquil ambience, while being practical and offering a gorgeous solution to wine storage needs. 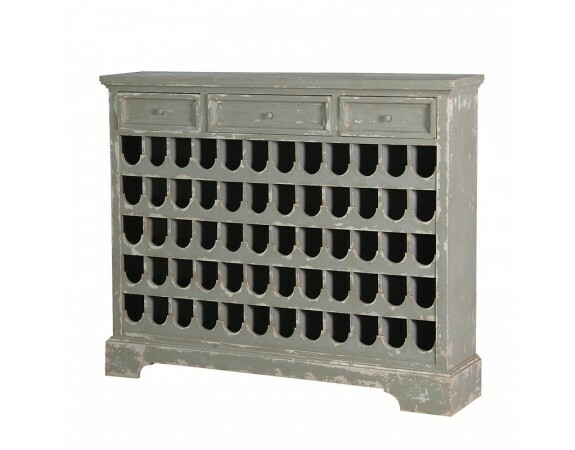 Shabby chic pieces such as this, are inspired by aged French manner house furniture giving them that sophisticated appeal of taste and longevity.